For someone who likes flying, either as a pilot or a passenger then a custom caricature for their birthday featuring an aircraft is perfect. 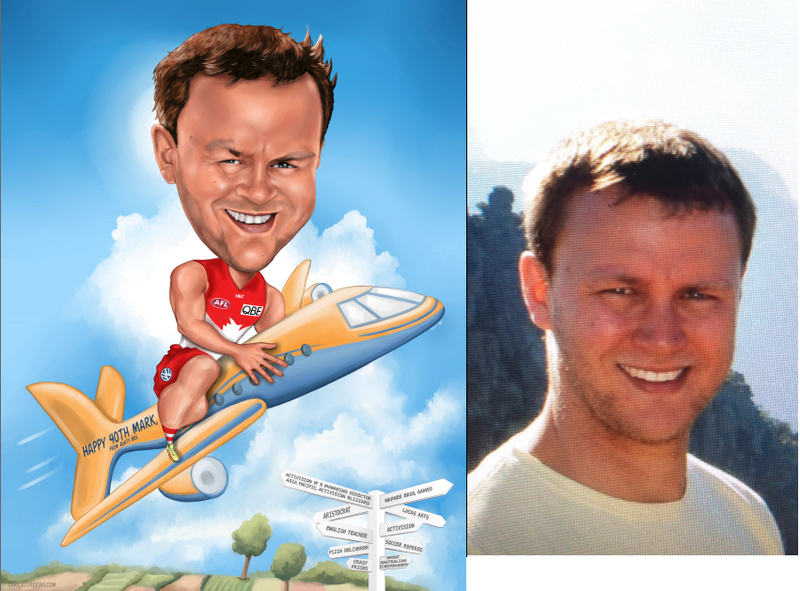 Here is a fun caricature from artist Darius, also showing the reference photo. Included is birthday wishes wording and he is wearing the shirt of his favourite sporting team. Also featured in a signpost that has all the places he has visited. What better idea for a 40th (or any age) birthday gift. Art is delivered digitally ready to print (you can nominate size) or we can arrange printing for you.